Super thin, flexible, dexterous and comfortable. 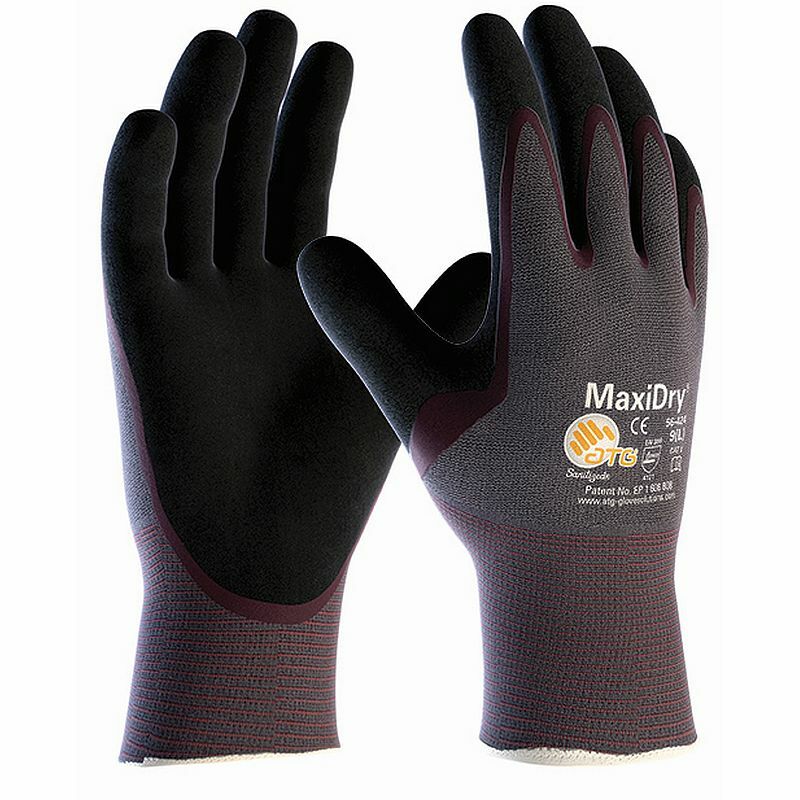 The MaxiDry Palm Coated Gloves 56-424 (Pack of 12 Pairs) are oil repellent gloves that are ideal for precision handling in dry and wet environments. The MaxiDry Palm Coated Gloves are super thin, flexible, dexterous and comfortable. The product code for these gloves is 56-424. Through this listing, you can purchase the MaxiCut 56-424 gloves in pack quantity, getting 12 pairs of gloves at a reduced price. Ideal for the construction and automotive industries, this bundle allows businesses of every size to save money on their essentials. To purchase these gloves in single pairs, please see the standard listing. Liquid repellence - we have increased resistance to oils via our LiquiTech technology platform. Locking cuff - ensures the glove doesn’t slip on the hand: an exclusive elasticated support in the wrist area provides a “locking“ effect for a close and snug fit. Our micro-cup non-slip grip finish allows for a controlled and superior grip in oily and wet applications. The nonslip grip is only applied where it is actually needed - in the palm area - to ensure flexibility isn’t compromised. Automotive assembly, automotive aftermarket, brown goods, chemicals, OEM, oil and gas, metals and minerals, mining, steel and iron, packaging and containers, paper and pulp, rubber and plastics, trucks and other vehicles, white goods. Aerospace and defense, general building materials, contractors, glass, construction, durable goods, industrial electrical equipment, metal fabrication, residential construction, small tools and accessories.